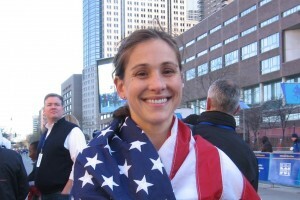 – Kara Goucher talking about the end of her time in Portland and with Nike. A rejuvenated Goucher will return to racing under Mark Wetmore and Oiselle in Philly next month. 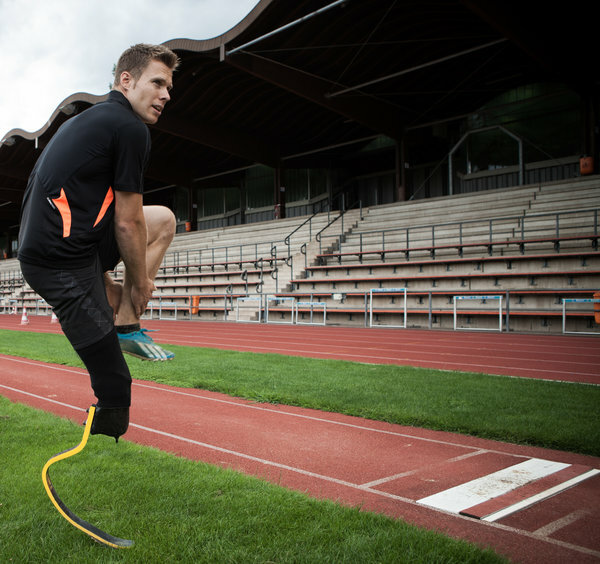 Would Nick Symmonds be the best 900m runner in the world? *English Also Ran Leg On Irish 4 X 400 Team That Broke National Record Twice In 24 hours The record is now 3:01.67. Chris O’Hare Was First Brit To Medal In 1,500 At Euros In 28 Years O’Hare, who is now coached by Terrence Mahon of adidas/BAA, is calling it a season, however, as his hamstring has been killing him. *MB: Did anyone realize that Chris O’Hare is now coached by the BAAs Terrence Mahon? Ireland’s Paul Robinson Felt Despair As Bronze Medal Slipped Away In Final Strides Chris O’Hare snagged the bronze at the end. Athletics Weekly Asks What Was Better – Euros Or Commonwealth Games? We know one thing. They should only have one of them in a given year. Usain Bolt Wins “Sluggish” 100m Race On Rio de Janeiro Beach In 10.06 He wanted a sub-10 but destroyed everyone as MLF was second in 10.42. Carmelita Jeter was only 3rd in the women’s race won by Brazil’s Rosangela Santos in 11.33 seconds. British Paper: “Our sprinters are hot on the heels of Usain Bolt.” Calm down, Brits. Euros was won in 10.06. Bolt ran that in his first race of the year. M 5000: LRC Galen Rupp Battles Caleb Ndiku; Ben True and Hassan Mead Chase Sub-13:00 While many of the top entrants have been racing CGs and African champs, Galen Rupp toes the line for the first time in six weeks – will he get the first DL victory of his career? Plus only one man has broken 13:00 this year – will that trend continue in Stockholm. 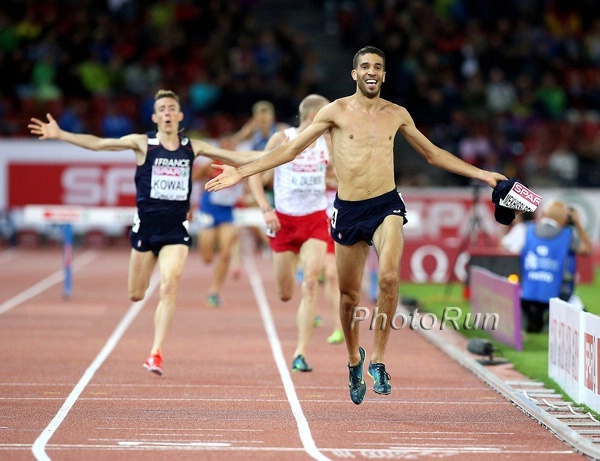 Can Cam Levins get the Canadian record? W1500/Steeple: LRC Jenny Simpson vs. Sifan Hassan vs. Abeba Aregawi; Emma Coburn Highlights Steeplechase These two women’s races are loaded as Simpson will try to get the AR in a race that features 4 of the 5 fastest women in the world in 2014. *M 800: LRC Can 1500 Man Ayanleh Souleiman End Nijel Amos’ Dominance? Amos has only lost all year and it was to a 1500 man and Souleiman is in great shape. IAAF Full Meet Preview It’s been more than a month since the last DL action. American fans, get pumped. 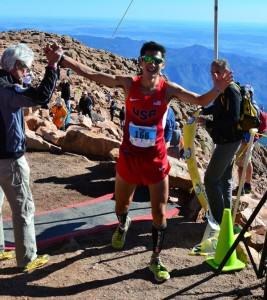 *Stockholm press conference highlights – Simpson/Rupp talk Simpson on w1500: “There is no strong, heavy favorite.” Rupp also talked about why it’s hard to run fast. 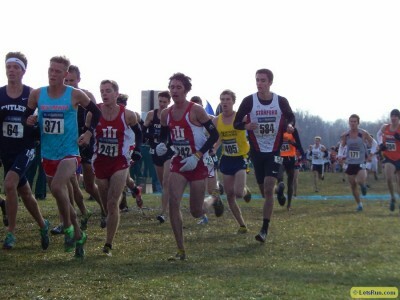 LRC 2014 Men’s XC Preview: #8 Wisconsin & #7 Indiana Indiana ended Wisconsin’s 14-year run of Big 10 titles last fall and returns its entire top five. The Badgers will reload with the country’s best recruiting class and look to record their 19th consecutive top-10 finish come NCAAs. At Big 10s, the two could be in for a big battle. Kenyan CG And African Champs Medalists Return Home, Govt. Is Satisfied With Performance, Focus Now Shifts To IAAF Continental Cup Imagine if anyone in the US govt. cared how the US track team did at Pan Ams. Our new and upgraded server is live! If you are seeing any errors (nginx), click here. Thanks for your patience. 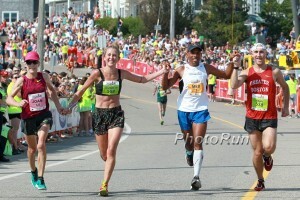 LRC Stephen Sambu Breaks Away To Win Falmouth Road Race By 45 Seconds; Betsy Saina Wins Close Affair Over Gemma Steel, Molly Huddle Sambu’s incredible summer continued as Ben Bruce was 4th. Huddle was third on the women’s side. 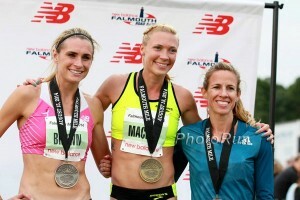 *MB: And the winners of 2014 Falmouth Road Race Are … Stephen Sambu and Betsy Saina (Molly Huddle 3rd, Ben Bruce 4th). IAAF Youth Olympic Games Preview We have no idea why this event exists but Mo Aman and Luguelin Santos did win gold in the 1st one 4 years ago. Worried About Athletes’ Saftey, Japan Has Only Sent 1 Distance Runner To Youth Olympics The Japanese team was booed at the opening ceremonies as the Japanese deny the Nanking Massacre. Their one entrant is quite good (Nozomi Takamatsu, 4th WJrs 3,000).